By now, you likely have a go-to coping mechanism for when stress and problems arise. Hopefully it’s something on the healthy side of the spectrum, such as seeking comfort from the ones you love, or getting those endorphins flowing with some exercise. But no matter what way you deal, everyone can use a little extra support in handling life’s challenges — and one way to get it is through talking with a professional. Before you immediately dismiss the idea, consider this: Research has shown that verbalizing feelings can have a significant therapeutic effect on the brain. In other words, getting your worries out in the open (even the “insignificant” ones) — particularly with someone trained to help you manage them — is a good thing for your well-being. So, say you’ve decided to take the plunge and get some professional help. Should you seek out a therapist, or would a life coach benefit you more? It’s important, firstly, to understand how the two differ (though regardless of the differences, or which route you go with, you’re still making a choice to better your life — and there’s nothing bad about that). Therapists, whether classified as psychologists or counselors, have varying master’s and doctorate degrees and are licensed by their state. With psychotherapy, also known as talk therapy, licensed professionals focus on the long-term and work on ways to understand your thoughts, moods and behaviors. Life coaches, on the other hand, are encouraged to obtain certification through an accredited program like the International Coaching Federation (although it’s not required as the profession isn’t regulated). And unlike with therapists, there are no degree requirements. 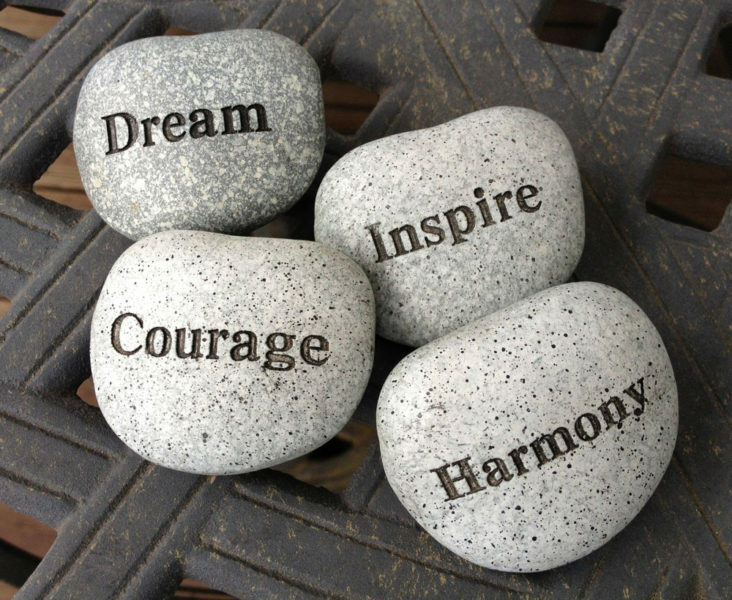 Life coaches aim to motivate, offer emotional support and create confidence in their clients. Many former psychologists and counselors have gone on to become life coaches. The biggest difference between coaching and therapy, in my view, is that the theory that guides my work as a therapist can explain how coaching does or does not work, while theories that guide coaches can’t do the same about therapy. This difference, while true, seems inconsequential to me. What matters is that people get help in their efforts to grow, master their problems and become more effective in their lives. Therapy can help you handle emotions from problems or stressors, even if they aren’t dramatically life-altering or traumatic. Therapy is well-known for its problem-solving techniques and reputation as a tool for overcoming anxiety, depression and addiction. But as Spiegel explains, it’s also a way to establish better emotional wellness in your daily life. In other words, you don’t have to go through a huge life event or trauma to benefit from therapy. Talking with a professional allows you to get a sense of how you appear to other people, helps you get feedback on whatever you’re feeling and offers insight on how those emotions are affecting your everyday life. Life coaches can hold you accountable for your goals. Whether you want to lose weight or make a significant career change, talking to a professional life coach can help you get over those mental blocks you encounter with any challenge. And as New York-based life coach Stefanie Ziev explains, having someone to answer to will also hold you accountable for your progress. And there’s science to support this notion. Research shows that social support can help build resilience against stress — a useful tool if you’re trying to make a significant life change. When you speak to a professional, whether it be a life coach or a therapist, Ziev stresses the importance of opening yourself up to what you’re struggling with and where you’d like to go from there. This allows you to work toward a goal, which can bring confidence, peace of mind and, ultimately, more meaning to life. A professional can help you dissect a problem — then help you figure out how to solve it. Just as a life coach can help you formulate a plan to make a significant change in your life, therapy can help you develop a strategy to handle a current hardship you may be facing. Spiegel says that speaking with a professional allows you to look at any hill you’re climbing from a new angle. So, you’ve been feeling a little crazy lately. You just can’t seem to take your mind off your problems, and the harder you try to shut down your mind, the more it revs up. Pretty soon, you find yourself thinking about worrying about over thinking, which makes you feel even more like a lunatic. If ruminating, obsessing, and worrying feels like a terribly compulsive habit to you, you’re not alone. People who struggle with anxiety and depression frequently struggle with overthinking. However, according to research, anxious people who struggle with problems like rumination are actually more intelligent than the general population. So if your thoughts are out of control a little too often, you’re probably a highly intelligent person. While this piece of research doesn’t solve your problems, it can help you to understand why you’re so inclined to get dragged into thought. So what is rumination? Rumination can be defined as the habit of constantly identifying with thoughts that play over and over again in the mind, kind of like a broken record. The word “ruminate” comes from the Latin word for chewing cud which is the less-than-genteel habit of cattle which grind up, swallow, regurgitate, and then rechew their food. We’ll explore what “identifying with thoughts” means a little later. If you want to learn how to stop ruminating, this article will share with you some tried and tested ways to calm your mind and find peace. If you want to learn how to stop ruminating, you might benefit from pausing here and considering what type/s of rumination you struggle with the most. Putting a face to your rumination might help you to process it better and develop more self-understanding. Why Exactly Does Ruminating Cause Us to Suffer? As I mentioned at the beginning of this article, rumination can be defined as the habit of constantly identifying with thoughts that play over and over again in the mind, kind of like a broken record. But what does the “identifying with thoughts” bit mean? The reason why ruminating causes us to suffer so much is that we believe in and attach ourselves to these thoughts, almost automatically. However, if you have ever explored the origin of your thoughts, you would have discovered that thoughts simply arise from nowhere — they are completely spontaneous! Yet despite the fact that we don’t control our thoughts, we actually believe we are our thoughts. Here’s a small experiment. Tell me, what will be the next thought in your brain, and the next, and the next, for the next 30 seconds? Can you honestly tell me what all your thoughts will be? No, of course you can’t. Any intelligent person would be able to see that they don’t know where their thoughts come from or what they will be. This, by the way, is why so many people are attracted to practicing meditation: meditation helps you to see that you are not actually your thoughts. Not only that, but you don’t actually have to believe the thoughts that enter your brain. Did you read that? You don’t have to believe every thought that enters your brain because they are random fluctuations of energy. YOU are the one that gives meaning to your thoughts and identifies with them. When you stop identifying them, you can see that your thoughts are just like heavy clouds that come and go. They mean no more about you than the weather does. So if you are not your thoughts because you do not create them, and they are so transient and changeable, who or what are you? You are the space or conscious divine presence beneath your thoughts that observes everything. You can discover this for yourself: what has been with you since your birth that has not and cannot be changed? Your body, personality, DNA, name, gender, thoughts, and feelings can all change … but what remains unchanged? The reason why ruminating causes us to suffer is because we haven’t found space within our thoughts to witness with clarity our own minds. Instead of seeing the whole ocean we get lost and tossed about in the waves of our thoughts. In order to learn how to stop ruminating, we need to learn how to break the habit of believing that we are our thoughts. What I’ve just mentioned about you not being your thoughts might not come in handy right at this moment, particularly if you’re just looking for some quick relief. But I hope in the future, whenever you next get into a big bout of rumination, you remember the words in this article and explore this reality further. Below I’ll share with you practices that can give you immediate short-term relief from rumination all the way to longterm relief. I hope you find what you need here. The intense nature of exercise helps to shut off the mind temporarily and fill you with feel-good endorphins. Go take a run, do some pushups, sit-ups, rebounding or some boxing. Put headphones into your laptop, tablet or phone and play loud music. Obviously don’t play the music so loud that you damage your eardrums, but loud music will help you mind switch gears for the meantime. I recommend listening to calming (but loud) music instead of frantic music. Try to listen to something ambient or classical instead of rap, rock or electro-pop. If you don’t have an opportunity to practice the first two recommendations, try focusing on your in-breath and out-breath. Count each breath up until ten, then start again. For example, as you breathe in, count one, breathe out, count two, breathe in, count three, breathe out, count four … and so on. Once you reach ten, start from one again. If you can, allow your breath to deepen so that you’re stomach gently rises and falls. Deep breathing will calm and ground you. Here’s a handy GIFyou can use to help deepen your breath. Calm your nerves naturally by drinking tea made from Damiana, Ashwagandha, Rhodiola, Siberian Ginseng or Holy Basil. Herbal remedies are a good option for short-term relief and the process of making and drinking the tea itself will help to center you. You don’t have to be a writer or particularly good at spelling to write in a journal. The purpose of journalling is to extract all of the thoughts locked in your mind and unleash them onto a page to give you psychological and emotional relief. I like to use Evernote (an online note taking website) to record my thoughts. If you sit down to write out your thoughts for ten minutes or more each day, I guarantee you’ll feel the benefits after about one week. Being alone tends to trigger a lot of rumination. For short-term relief, keep yourself busy and engaged in something such as cleaning out a cupboard, helping a friend, tending to the garden or doing yoga. When we don’t have anything to look forward to, we tend to dwell on the past or thoughts that obsess about what is “wrong” with everything. One of the best ways to overcome this habit of obsessive thought is to find something you enjoy doing — and it could be anything. For example, perhaps you have always dreamed of creating your own youtube channel or blog? Maybe you’re interested in learning more about aromatherapy, canoeing or quantum physics? While creating a meaningful life isn’t a quick fix, it will give you longterm fulfillment. If you struggle with finding something you enjoy, think back to what you loved doing as a kid. Mindfulness is basically the practice of noticing what is happening in the present moment. Too often we filter the world through our thoughts instead of directly experiencing life. When we ruminate and obsess, we are lost in the world of the mind. Mindfulness helps to draw you back to the present moment. In fact, mindfulness-based cognitive therapy has been proven to help people suffering from depression to avoid relapses. There are many free mindfulness resources online which I encourage you to explore. Be kind and compassionate towards yourself. Understand that you aren’t alone and many others struggle with overthinking and obsessive rumination. You aren’t weird, crazy or broken. You are a normal person who simply struggles to find a space between your thoughts. Read the comments if you’re doubting yourself. There are others in the same boat. Treat yourself as you would with a best friend or loved one. Take care of your needs, forgive yourself, and find the good in life wherever possible.